YMCA Urban Infill, Kitchener, Ontario. This is a studio project I completed in1986 in my third year of architecture school at the University of Waterloo (instructors: Brian Hunt and Val Rynnimeri). 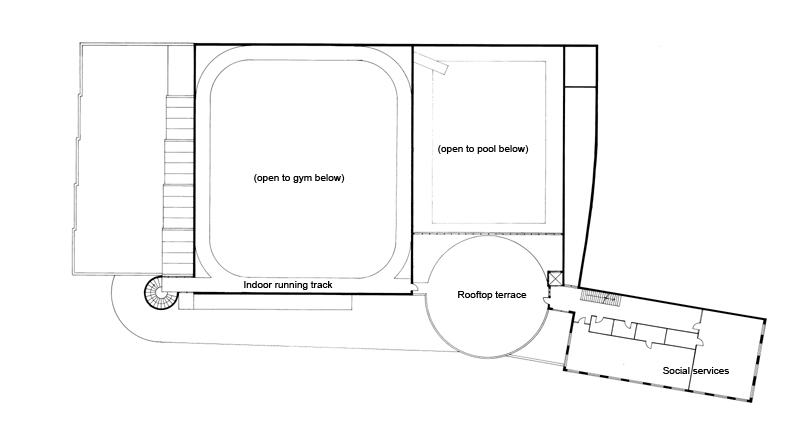 The brief was to design a YMCA for a site of our own selection in the Kitchener-Waterloo area. We were given only four weeks. The program we were handed was that of the Metro Central Toronto YMCA; a recently completed building by Diamond Schmitt Architects. Although large empty sites were abundant in the Kitchener Waterloo area, especially in suburban areas, I purposely chose the most centrally situated site I could find, a partially empty city block with historic brick buildings bounded by Charles, Queen, and Ontario Streets. The idea was to ‘infill’ and complete this city block with urban density, and to provide a public architectural promenade through the building along ramps and galleries that offers views of sporting activities occurring throughout. 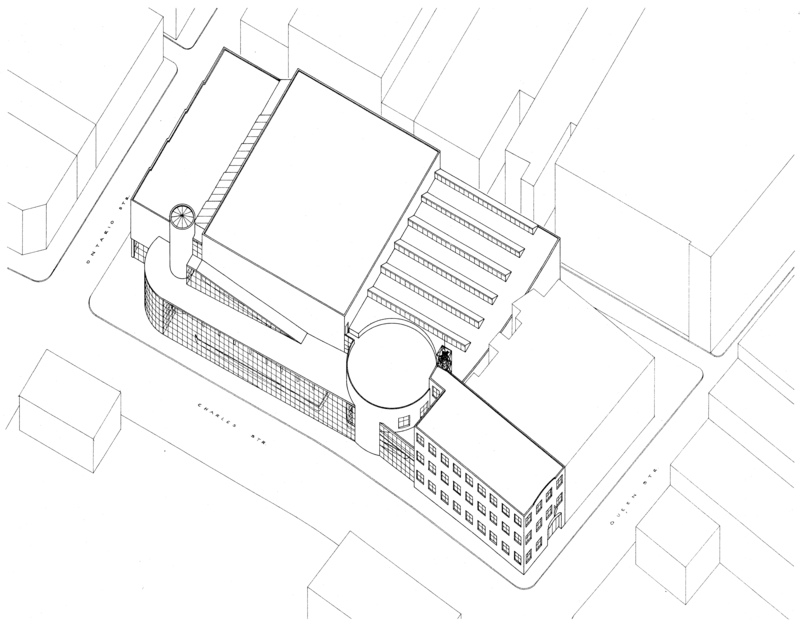 Axonometric drawing of YMCA urban infill proposal for Kitchener, Ontario (1986). Charles Street Elevation. The sports facilities are in the Constructivist-inspired portion of the building, while the offices and social facilities are in an adjoining Tendenza-inspired brick portion with punched windows. 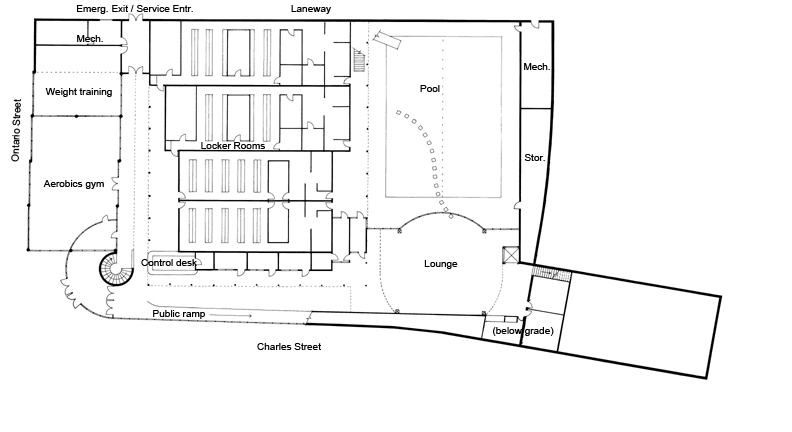 Plan of Level 0. 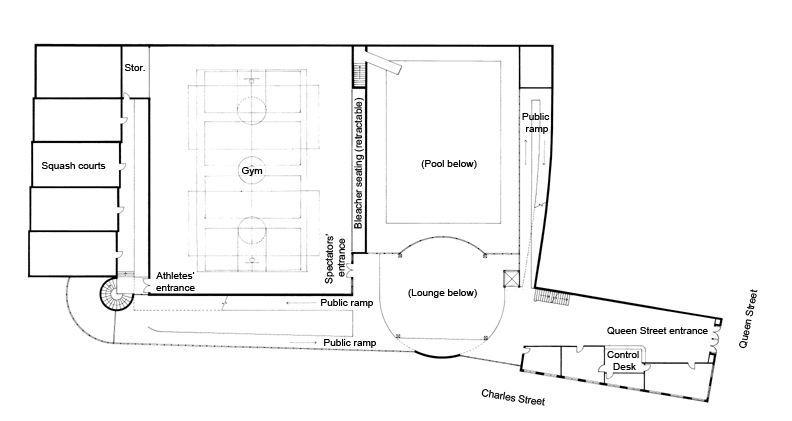 The public entrance to the sport facility is at corner of Charles and Ontario streets, from which members access locker rooms. A public viewing ramp parallel to Charles Street connects with office and social services building on Queen Street. Plan Level +1. 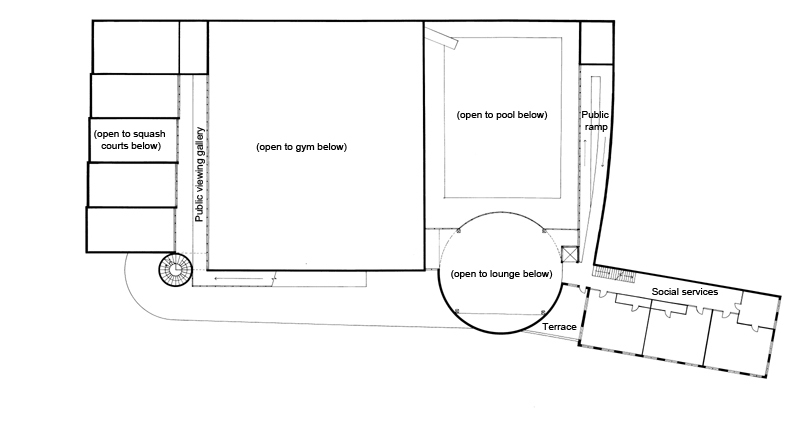 Gym, Squash courts, Queen Street entrance to offices and social services. Plan level +2. Public viewing gallery, social services.